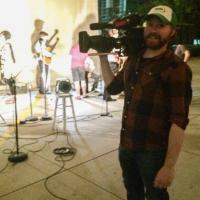 Hey Everyone- I'm a camera operator and occasional DOP new to the Los Angeles area (less than a month in) after working for the past several years in Tennessee as a non union operator. I've begun the process of submitting my non union days to Contract Services for the Industry Experience Roster, but I was curious about the experience of everyone here as far as whether or not it's worth joining. As it is now, I have limited connections in the union world (hopefully I'll gain more soon). Let's say I join: do you think new avenues will open up for me being a member of 600 as I gain new connections, or is it better to continue on the nonunion route for the forseeable future? If you're a working member of 600 now, how long did you wait to join? Did it make a big difference in your career being a member? Thanks for your time, and I'd love any insight anyone can offer. --Also, in case anyone cares, my experience has been in mainly these true crime documentary shows (Tennessee is a mecca for those) both filming as a DOP and camera operator in the field interview side and the re-enactment side (Which operate like filming a low budget movie every week). ENG Lens possibility with an Alexa? The Amira has an ENG B4 lens adapter designed for NFL Films that's available for purchase. Plus, if you're used to the F900, you'll want the Amira. It's closer in style and operation that the Alexa is. Someone changed the name! Thanks everyone and feel free to close or delete this post. Hey Everyone- I decided to sign up for an account on this site - and it turned out I already had an account! Nine years ago I signed up to make one post about whether it would be worth going to Full Sail, which luckily I did not, and still ended up becoming a professional without it. Anyway, how should I change my username to my real name, which is Jared Hagemann, as I see that's how usernames are supposed to be presented. Also, what was I thinking of with this username? Yeesh! Sorry to resurrect an old thread, but I didn't see a need to make a new one when this is a perfectly fine thread. Anyway, if I want to be a cameraman on tv shows or movies would it be worth going to Full Sail or should I do something else or what?